It purifies water that passes through its root zone. Sodding your lawn gives it instant beauty without the time-consuming task of seeding. Savannah Georgia Landscaping can help find the finest top quality sod around. You will be assured of a beautiful lawn that will be enjoyed for years to come. Full pallets contain approximately 450 square feet. Sod laying is like painting. The hard part is in the preparation and the finished product is only as good as the preparation. Start with good soil. There is no better time to enhance home lawn’s ultimate beauty and success than by improving the soil before any planting takes place. This is our procedure prior to sodding. For optimum growth, turfgrass needs just four things (in the proper balance) to grow…sunlight, air, water, and nutrients. Reduce any of these, or provide too much of any one, and the grass may die or simply suffer. In the right proportions, the grass will flourish, providing not only beauty to the landscape, but also a clean and safe place to play and many benefits to the environment. Loams, sandy loams, and loamy sands, with a pH of 6.0 to 6.5 are the very best soils for producing a beautiful, high-use, low-maintenance lawn. Unfortunately, this idea soil mixture is seldom found on any property after construction. The absolute minimum quality soil depth for a care-free lawn is 4 inches; however, for deeper root penetration and the benefits that bring, the accepted standard is 6 inches. Practically without exception, not only can most soils be improved, they usually need to be improved to get the maximum results with only a minimum of another on-going effort. The knowledge of what’s necessary, the amount and availability of materials and the immediate costs of time and money are the factors that typically deter people from taking the steps necessary to improve the soil. While some people do not fully understand the importance of good soils for grass, many also believe they can save time and money by ignoring the need to improve their lawn’s soil. The fact is that failing to improve the soil before planting is only inviting a much greater and continual investment of both time and money, which will never return its value as fully as preparing the soil properly before planting any grass. It is important to remember that most warm season turf grasses can grow an a host of soils and adding a foreign soil can actually hinder root production. If you amend or modify your soil you must till it completely with the original soil to make a homogeneous mixture. If you do not do this results can be disastrous. It would be better to add no soil than to add soil and not thoroughly blend it. “The beauty is in the blades, but the ‘action’ is in the roots,” is a good adage to remember when growing grass. Thus, the value of proper site preparation and soil improvement, before any planting takes place, is that it will be easier for the grass roots to penetrate deeply and evenly. Deep roots will make the lawn more drought resistant, a more efficient water and nutrient user and more dense as new grass plant shoots emerge. A dense lawn will crowd out weeds and better resist insects and diseases. That is Turfgrass 101 and also the foundation of environmentally sound principals like Best Management Practices. New SOD installation – Clear the site of all building materials (wood, cement, bricks, etc. ), as well as any buried stumps, rocks, stones or other debris that is larger than 2-3 inches in diameter. 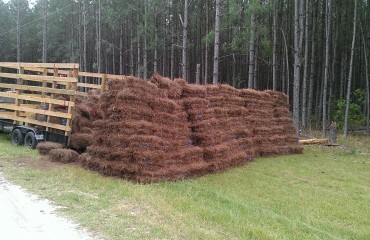 New SOD installation – Rough grade the entire area to eliminate any drainage problems on the property. This would include sloping the grade away from building foundations, eliminating or reducing severe slopes and filling low-lying areas. A tractor-mounted blade and/or box are most often used for rough grading, but if the area is smaller, it can be done with hand tools. The rough grading will probably uncover more debris that should be removed and not buried. With the weed presence common in Georgia we recommend spraying the area to be sodded prior to initial tilling with Round Up or similar nonselective herbicide. After tilling we recommend fertilizing the soil and watering it to encourage new weed growth. Then in 10-14 days spray a second time with a nonselective herbicide. This process will eliminate an entire generation of weeds that would have otherwise germinated at the time of installing the sod. If Needed – Add topsoil to achieve a total topsoil depth of 10-15 cm(4-6 inches), after firming. The topsoil should be a loamy sand, sandy loam, clay loam, loam, silt loam, sandy clay loam or other soil suitable for the area. To the extent possible, practical, affordable and available, incorporate humus (fully decomposed organic matter) into the topsoil. Apply “starter fertilizer” that is high in phosphate (P, or the middle number on a bag of fertilizer), at a rate recommended for the particular product. To prevent root injury to newly installed turfgrass sod, this fertilizer should be worked into the top 7 to 10 cm (3-4 inches). Finish grade the entire site, maintaining the rough grading contours and slopes, with a tractor-mounted box blade on large areas or heavy-duty rake on smaller sites. Roll the area with a lawn roller one-third full of water to firm and settle the surface and reveal any low spots that should be filled to match the surrounding grade surface. If time permits, allow the area to settle further with rainfall or by applying irrigation water. This site is now ready for turfgrass sod. With this degree of careful and thoughtful soil preparation, the resultant lawn will be absolutely beautiful and require less maintenance, smaller quantities of applied water, fertilizer and pesticides, as it maintains a high degree of density and uniformity and recovers much more rapidly from wear. 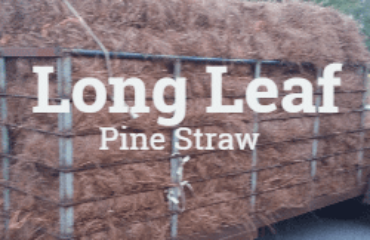 For years to come, your investment in soil preparations will yield a high return. Cultivated turf allows you to enjoy a lawn of instant beauty and maturity without the usual time-consuming hassles of seeding or sprigging. 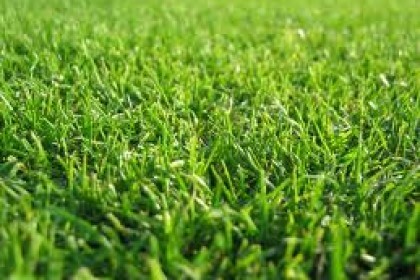 When purchasing turfgrass sod, consult a professional from Chatham Property Maintenance, to be assured that you are getting the finest quality turf available and the best variety for your unique needs and site location. The following are the basic steps to a beautiful lawn. Weather conditions will dictate the amount and frequency of watering. Be certain that your new lawn has enough moisture to survive hot, dry, or windy periods. Irrigate and water areas near buildings, drives, and sidewalks more often or more heavily. These are areas where reflected heat tends to dry the turf more quickly. 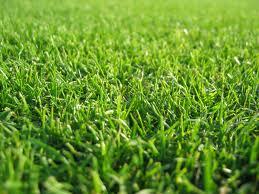 STEP 2 – During the first three weeks, avoid the heavy or concentrated use of your new lawn. This gives the roots an opportunity to firmly knit with the soil and insures that the turf will remain smooth. Your new sod lawn increases your property value significantly. With proper care, it will remain a great asset, providing beauty, a clean playing surface, and an improved environment. Mow often, generally removing no more than 1/3 of the grass height at a mowing. Keep your mower blade sharp. Follow the Lawn Maintenance section for mowing recommendations for your type of lawn. You can also let Chatham Property Maintenance maintain your lawn for you.